ADMAC precast division manufactures concrete pipe in a range of size, from 500mm up to 3000mm in diameter by 3 meters long. 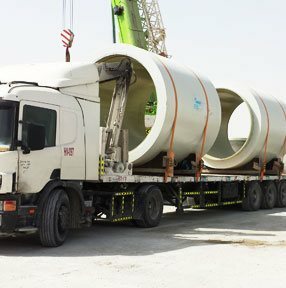 ADMAC’s Precast also suppliers many different types of pipes, from sewerage, storm water, irrigation to microtunneling, and produces customized pipe for special applications. 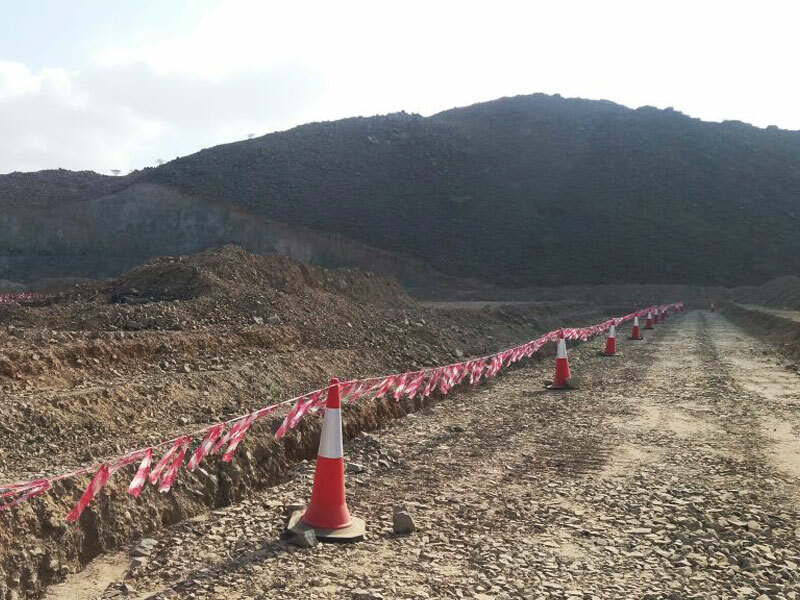 Approvals have been granted by Parsons International, Hyder Consulting Dorsch and Abu Dhabi Sewerage Services Company. ADMAC’s Pipes are not only strong and durable, they made of nature materials and are environmentally friendly. ADMAC has the capability and specialist experience to undertake deep shaft construction utilizing precast concrete segments which can be installed by caisson sinking. The Company has constructed several caisson shafts using precast concrete segment linings. Approvals have been granted by Parsons International, Hyder Consulting, Dorsch and Abu Dhabi Sewerage Services Company. Precast manholes are available in diameters of 1 meter to 2 meters in range. In addition to manhole sections, we also manufacture cover slabs, reducer slabs, adjustment rings, shafts, base sections, and base slabs for all sizes. ADMAC’s precast concrete manholes are used in sanitary sewer and storm drain systems for access, observation and junctions. ADMAC’s precast manholes take pride in each and very product made, even when it cam to manufacturing our first manhole in the spring of 1980. The same standard still holds true today when it comes to service excellence and making quality concrete products. Approvals have been granted by Parsons International, Hyder Consulting, Dorsch and Abu Dhabi Sewerage Services Company. We have streamlined our business structure and adopted a fresh approach to everything we do. We have centralized our recast operations, improve our communication methods and introduced efficient processes into every aspect of our activities. Of course, we still offer the same high quality products which people associated with ADMAC’s name and we still support our customers with industry-leading technical guidance. This allows our customers to benefit from the type of outstanding combination of products and services that you would only expect form a genuine market leader.